I do like it Cate. I especially like the bright sunshine. It shines nicely on you and your family. 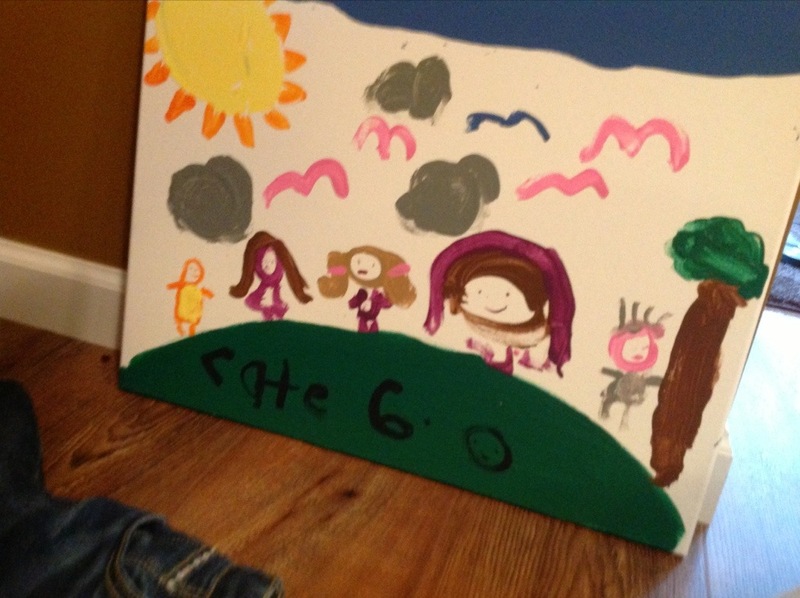 Beautiful painting Cate! Do you have a special place picked out, where you will hang it? No I wish I could. Cate hung the painting in the basement. Hey Cate, do you want to do another one for your room?